Jack Nuzzo interacts with rescued bald eagle Ruby. See article below in Today's Top Stories. 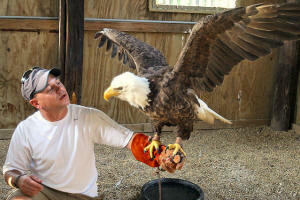 [picture provided by Jane Seitz, Illinois Raptor Center] click on picture for larger image.